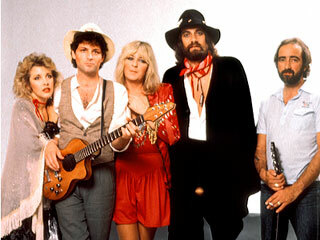 I was never a huge fan of Fleetwood Mac – I mean, I didn’t dislike them… they were just another band to me. After getting married to a big time FM fan, they sorta grew on me. The band reunited on the Today Show the other day and I have to say that for a bunch of kids in their late 60’s and early 70’s… they still rock! Sure, they don’t sound like the young kids that were all over the airwaves in the 70’s, but as they each approach their 70’s (Christine McVie is 71) Fleetwood Mac still holds up pretty well.